Week twelve’s 2016/2017 Pro CX rankings is out, and Katie Compton has an untouchable lead. Stephen Hyde is also well out in front but in the Junior division Lane Maher and Denzel Stephenson are locked in a tight battle. Behind the leaders, there were plenty of changes. 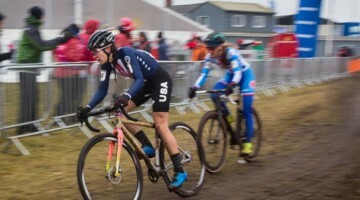 Due to her double at the Ruts ‘N Guts in Broken Arrow, OK, Katie Compton (KFC Racing p/b Trek-Panache) now has a 185 point lead over Emma White (Cannondale p/b Cyclocrossworld.com) who doubled up herself at the NBX Gran Prix in Warwick, RI. Amanda Miller moves up to third and Crystal Anthony and Ellen Noble trail in fourth and fifth. 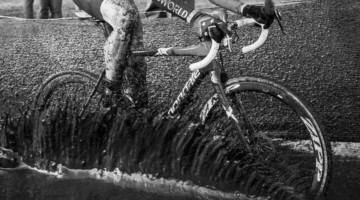 Although he didn’t gain any Pro CX points, Stephen Hyde (Cannondale p/b CyclocrossWorld) was happy to race to a 10th place finish at the Spa-Francorchamps Superprestige in Belgium. Hyde remains first in the standings with 742 points. Tobin Ortenblad gained a bunch of points at the Ruts ‘N Guts event and he is now second in the standings just pulling ahead of Curtis White by 20 points. White had a good weekend himself, doing the double at the NBX Gran Prix and he is now in third. Kerry Warner is fourth and James Driscoll is fifth in the points. Lane Maher leap frogs Denzel Stephenson and pulls into the lead for the Junior rankings. Maher had a strong showing at the Major Taylor Cross Cup with two second place finishes. Stephenson has been busy making the rounds in Europe racing several of the Euro events like Zeven, the Superprestige and the Zilvermeercross. Gunnar Holmgren stands in third after a double win at the Major Taylor Cross Cup. See the full Week #12 rankings below. 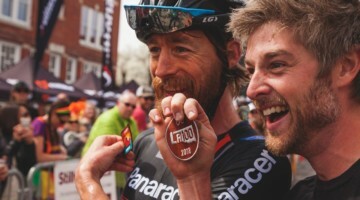 Next up on the ProCX calendar is the North Carolina Grand Prix in Hendersonville, NC and the Resolution ‘Cross Cup in Dallas(Garland), TX.